E303 MODEM, It can be from MTN, ORANGE OR NEXTTEL. A PayPal account/credit card with at least 5 euro or other payments methods which you will see in this post. Download and install dc unlocker if you don’t have it installed. Launch dc unlocker==>; click on buy credit. STEP4. Insert a sim from another operator into your modem. For example, if you are having an orange modem, insert an MTN sim card(Alien sim). 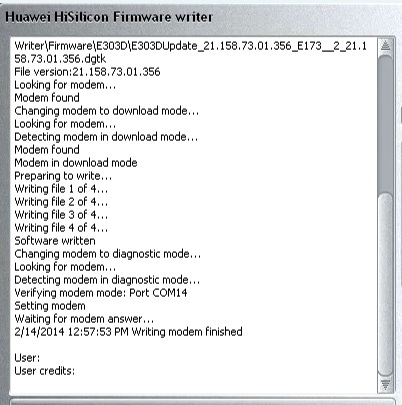 Connect the modem to your PC and run the firmware writer. STEP 5. 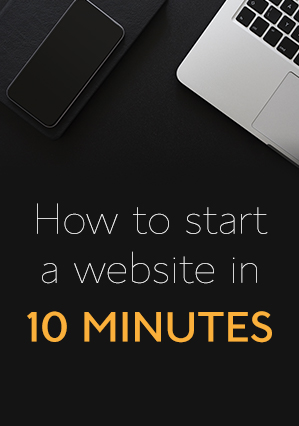 Log in with your user name and password. When login is successful, your modem will be successfully be detected. 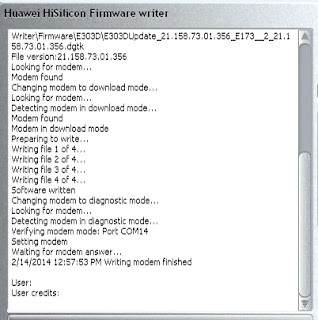 Click on Enter support area button and from the open webpage, navigate to Firmwares > Huawei HiSilicon_platform >èE303 >E303H_Not_locked_Firmware and download the .dgtk file. Go back to the firware writer and open the .dgtk files. You will receive a confirmation message when the process is completed.